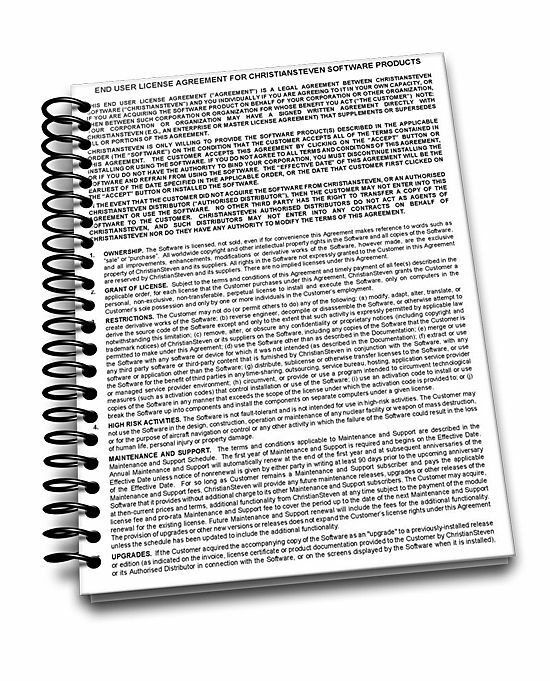 The License Agreement below governs your acquisition and use of our products and services. If you register for a free trial for our products and services, this agreement will also govern that free trial. ChristianSteven Software and all its properties including this website is owned and operated by ChristianSteven Software, LLC.